The Centralus team attended the Scottish Business Exhibition in Glasgow, their second event of the month. Our Scottish team is always eager to explain how our unique services can increase business efficiencies and employee engagement. For more information, please call 0800 211 8109 or visit our website at www.centralus.co.uk. The Global Recruiter Awards recognise the achievements of the innovators, the high flyers, the persistent performers and the dedicated professionals in the industry, those that disrupt, develop and shape what is to come in the recruitment sector through their outstanding work. We did it again! 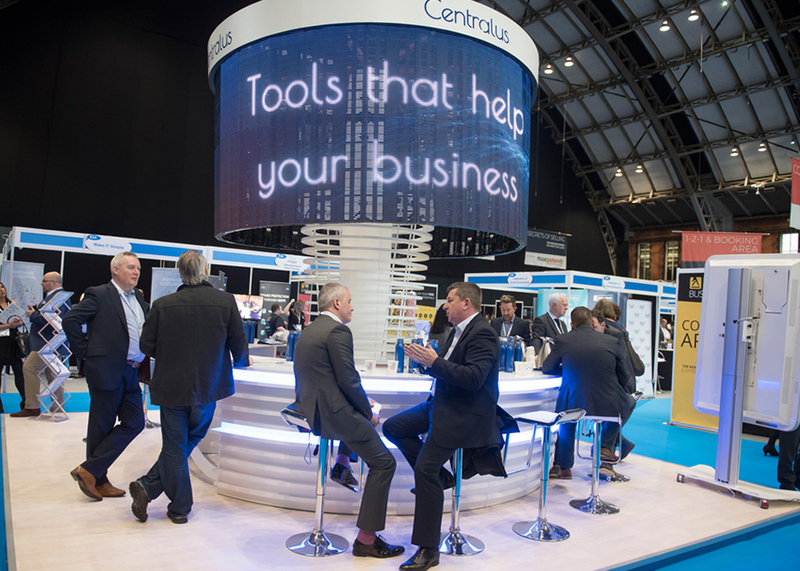 Centralus rocked the Northern Business Exhibition at the Manchester Central on the 18th and 19th of April. During the 2-day event, business owners, CEOs, directors and senior managers gathered around our stand and enjoyed our unique employee engagement approach through a fascinating experience that addressed all five senses. 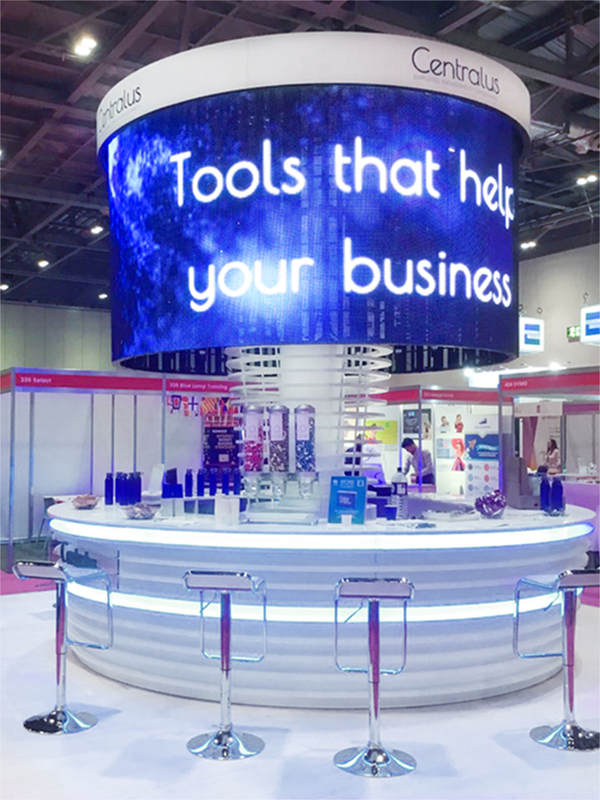 On the first day of the exhibition, half an hour was more than enough for David Callaghan, our Chief Executive Officer, to capture the visitors’ attention with his illuminating presentation “Transforming Business Through Employee Engagement”. Our stand attracted visitors like swarming bees to a honeypot -we hope it wasn’t just because of our colourful jellybeans. They were very eager to discover how we innovate recruitment by creating the environment that fosters happy and engaged employees. Centralus recognises the achievements of the innovators, the high flyers, the persistent performers and the passionate professionals in the industry. Those that disrupt, develop and shape what is about to come in the recruitment sector through their outstanding work. We are proud to be sponsoring this year’s Best Candidate Care Category Award and to congratulate all on their nominations! The above companies have been recognised for providing outstanding service. They have been known for their unique creativity, effective responsiveness, market insights, innovation in providing exemplary care and treatment of candidates/applicants. In doing so, the shortlisted companies have been recognised for adding outstanding value to their business partnerships and relationships via exceptional candidate selection. David Callaghan-CEO of Centralus comments: “At Centralus, we take pride in shaping the future of employment, and this award reflects part of the workplace of tomorrow – where people stay engaged, motivated, self-driven and eager to excel, to evolve, to upgrade their skills, unlock their potential, leading their organisations to excellence. You see, a company’s greatest asset is its employees, and nothing shows how much you care for your business better than the way you care about the people who drive it to success. The Recruiter Awards will be held on Thursday, 3 May 2018 at The Great Room at London’s Grosvenor House. We are looking forward to see you all there and celebrate excellence in Recruitment together!